There are twelve constellations on the sky. They represent various star groups forming different figures. They gird sky circle such way that one constellation corresponds to one month. 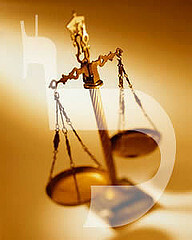 The constellation of Libra corresponds to Tishrei month. It's similar to two scales conjoint with chain to balance them. G-d judges the whole world this month weighing the actions of its residents. Human sins and merits are measured onto His scales. Rabbi Hiya on behalf of rabbi Levi comments: "All the foolishness and trifles people are busy with during the entire year - they are as if put onto scales, and they are forgiven by G-d under the sign of Libra, on the month of Tishrei" (Midrash Tanhuma).